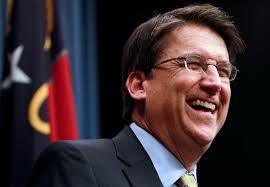 WataugaWatch: More McCrony Pay-to-Play: You Give 'im the Bucks, You Get the Action! More McCrony Pay-to-Play: You Give 'im the Bucks, You Get the Action! Seems to be a definite pattern with this governor. If Graeme Keith Sr. and now the Shelton Winery bros. can get such direct, quick action out of Squishy, squeezing him like a K-Mart sponge, what else have the big political sugar daddies been getting from McCrory that we don't yet know about? Inquiring minds want to know. McCrory obviously knows from his days as Duke Energy's mayor in Charlotte that his main job is keeping the big boys happy. Is "toady" still a word?